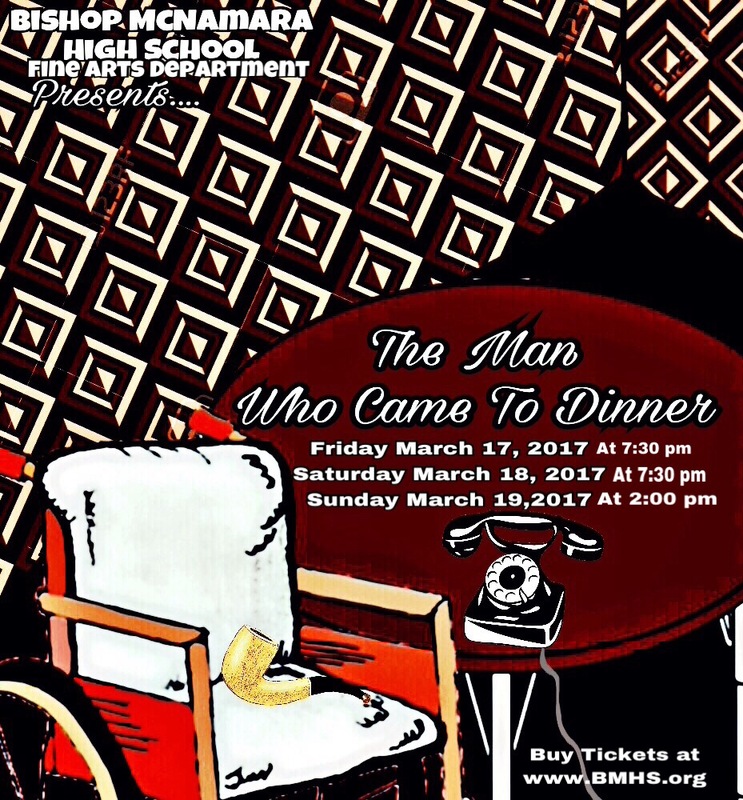 The BMHS Theatre program will be performing the play The Man Who Came To Dinner. The play is a classic American comedy written by the team of Moss Hart and George S. Kaufman. The famous radio personality Sheridan Whiteside, visits the home of the Stanley Family, in a small Ohio town in 1940. He slips on a patch of ice on their doorstep, breaking his hip. He must remain there over the Christmas Holidays. Chaos ensues as Whiteside is visited by celebrities, receives exotic gifts, runs up the phone bill, meddles in relationships, and destroys domestic tranquility. Don't miss this enjoyable evening or afternoon of laughter with the ensemble cast of thirty-one talented Bishop McNamara students! Performances will be on Friday, March 17 and Saturday, March 18 at 7:30 pm. An additional performance will be held on Sunday, March 19 at 2:00 pm. All performances will be in the Fine Arts Theatre.